Apacer release its Dual USB Vehicle Charger C320, another tech gadget that ensures mobile consumers with the convenience of mobile intelligence. The Dual USB Vehicle Charger C320, answer the needs of portability USB charger for people on-the-go. 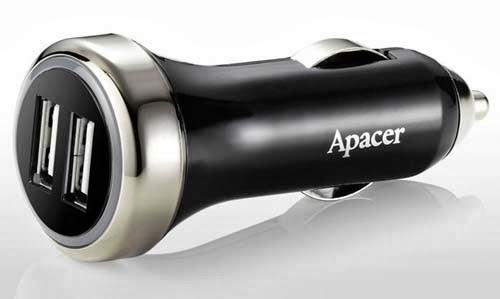 Apacer knows how pain in the neck to run out of power while conducting business, sending instant messages, listening to music or watching films with portable mobile devices. 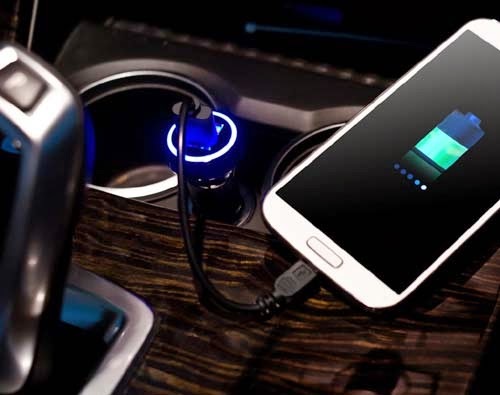 The C320 Apacer’s latest dual USB chargers for vehicles features the quick charge function and portability, and is compatible with iOS, Android smart devices and other USB interface products. Whether you are in business or having fun, the chargers offer you an unrestrained mobile life without power-off. Apacer recommends the C320 USB charger for vehicles to take your time to charge the mobile devices on the drive, reducing time but getting long-lasting power. The C320 charger for vehicles is equipped with a dual USB interface. 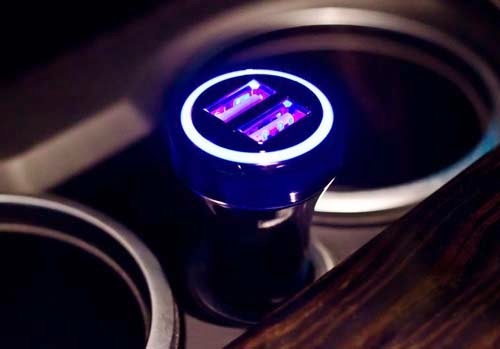 The charging status is always visible via a LED indicator, and its built-in protection function prevents the device from over-heating, over-current and over-charging. The C320 USB charger for vehicles with a considerate design of a large power flow up to 2.4Aeasily supports most of your 3Cproducts including smartphones, tablet PCs, digital cameras, MP3, game consoles, etc. It boasts a highly efficient quick charge function that meets the environmental trend of energy-saving and CO2 emission reduction, enhancing mobility of your life. *Disclosure: An important note, we are just sharing this information to the public, provided by our source (Image Media Phils). Apacer Info / Logos / Photos / Images have respective copyrights. thats great info, i'm looking for this one, meron na kaya nito sa mga store? ayos tong dual usb charger for the car. how much itong dual usb charger? kailan ang availability nito? thanks!